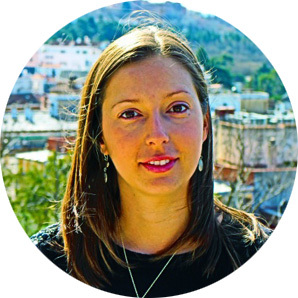 I travel to London every year as it’s one of my favorite European cities and I lived in Oxford for 6 months, so I know the area pretty well. 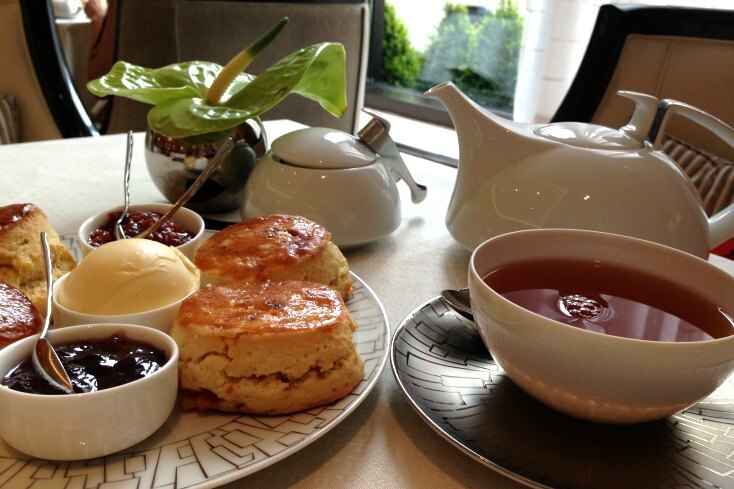 How is it possible I’ve never tried the best Afternoon Tea in London? 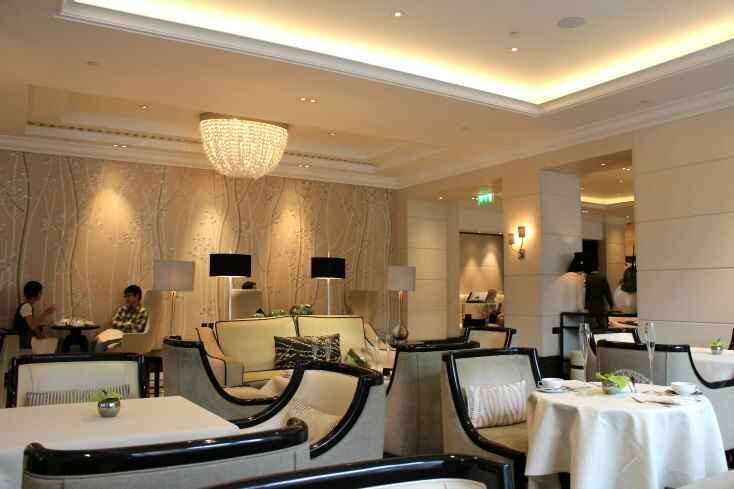 On my last trip to London I had the chance to have the best Afternoon Tea in London at one of the finest hotels, the Intercontinental London Park Lane Hotel. 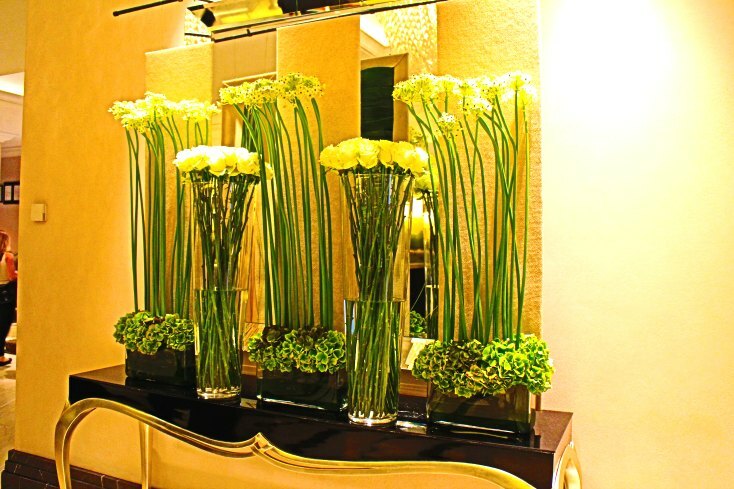 Located in the heart of Mayfair, it’s all elegance and luxury as Intercontinental brand itself. English afternoon tea is not just a tradition, it’s a ceremony. Towards the late 19th century, Afternoon Tea had become a fashionable social trend for upper-class society. Now the afternoon Tea concept have changed. Tea Parties featuring a wide selection of finger tea sandwiches, cakes and scones are popular amongst all generations. 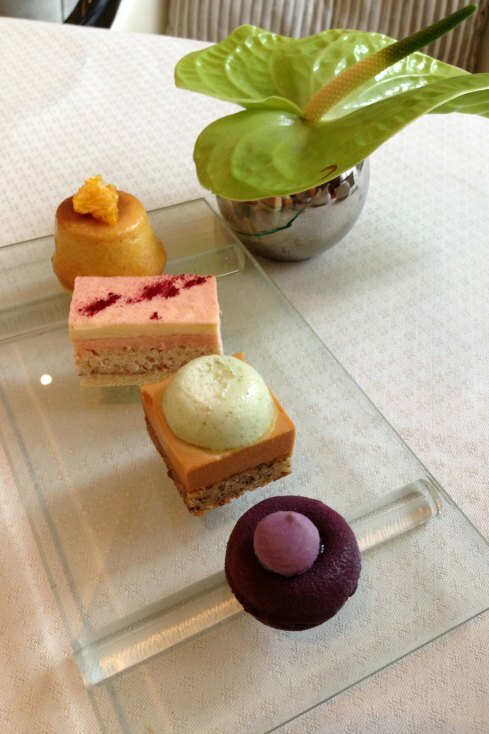 Do you know that afternoon tea at the Wellington Lounge was awarded in 2013 with the UK Tea Guild ‘Award of Excellence’? As soon I walk into the Wellington Lounge, on the ground floor of the hotel, I knew I was going to have a the best afternoon tea in London. Decor is white and green, so natural and zen. If you look through the window you will be inspired by its location overlooking the Royal Park. Wonderful views! 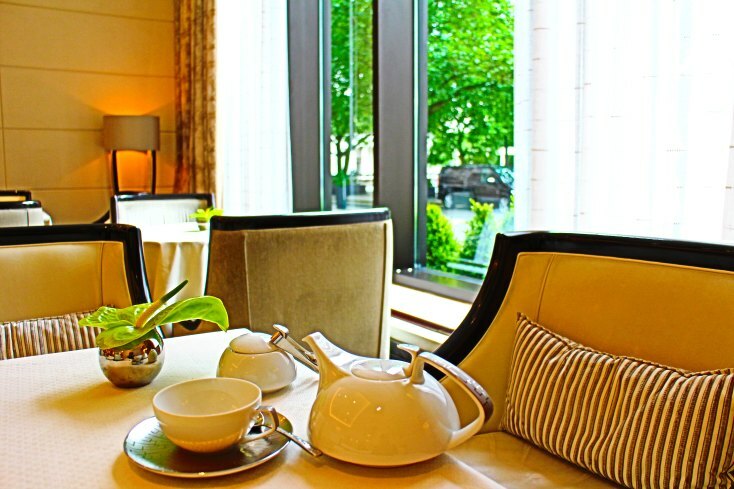 Intercontinental Park Lane Hotel has three different and amazing Afternoon Tea menus to suite all tastes. 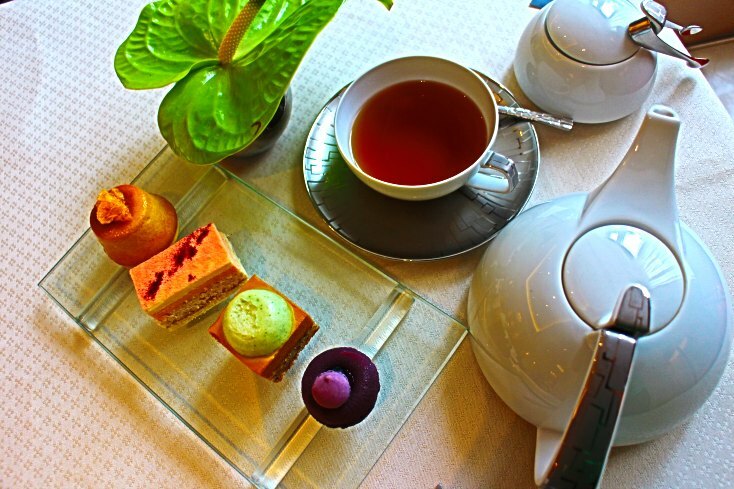 The hotel serves Afternoon tea daily from 1 pm to 5 pm. 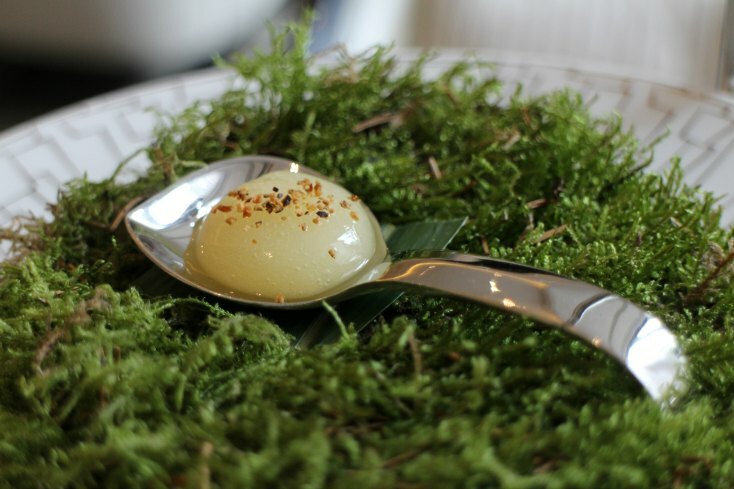 Botanical Garden, the perfect combination of natural food that celebrates the neighboring Royal Parks. 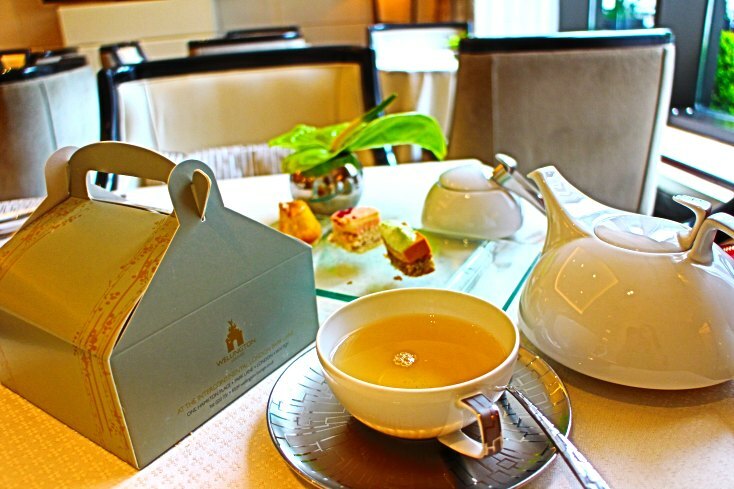 Royal Tea, an English classic inspired by the hotel’s location on the Queen’s former childhood residence. 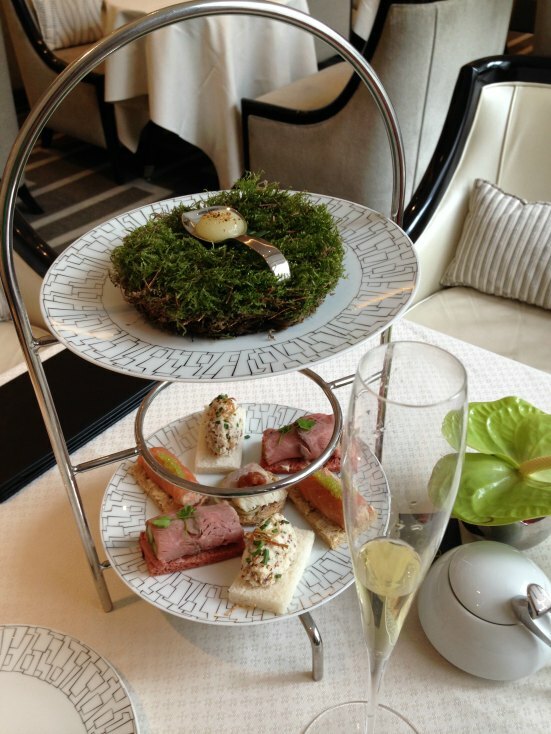 Wellington Tea, a modern British menu that honors the original Duke of Wellington. I recommend you to choose depending on your mood and how you feel in that moment. Of course, it would be perfect if you could have afternoon tea at Intercontinental Hotel again so you can taste all the menus! This is a feast, not only of tea, but one of philosophy, British food culture and botanical vision. After reading carefully the menus, I had the Botanical Garden. 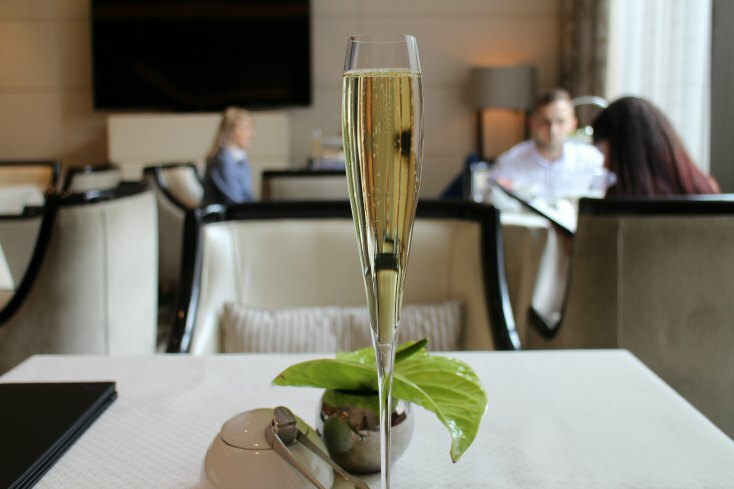 First, a glass of Möet & Chandon with vanilla and cardamom syrup. Two flavors that combine so well with champagne! The journey continues with a Kentish pear pearl drop: an explosion of flavors that took me by surprise. 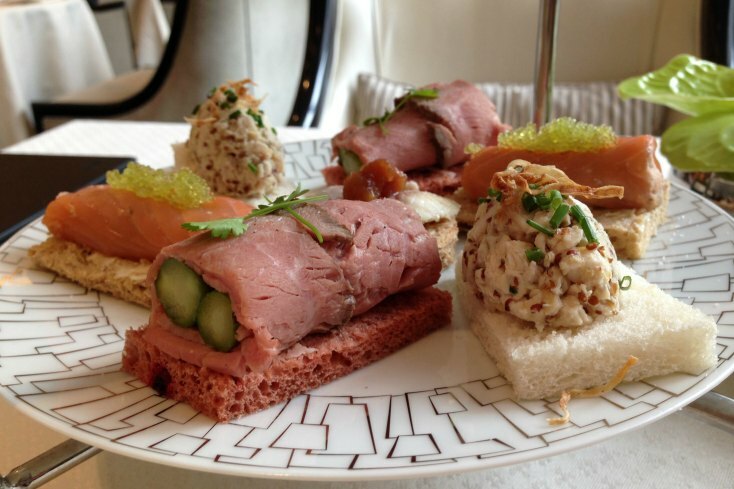 Then, a selection of modern style and chic tea sandwiches: smoked eel, Sirloin of beef, smoked trout and salmon and my favorite, free range Guinea fowl with crisp celeriac sandwich. What else could I asked for? 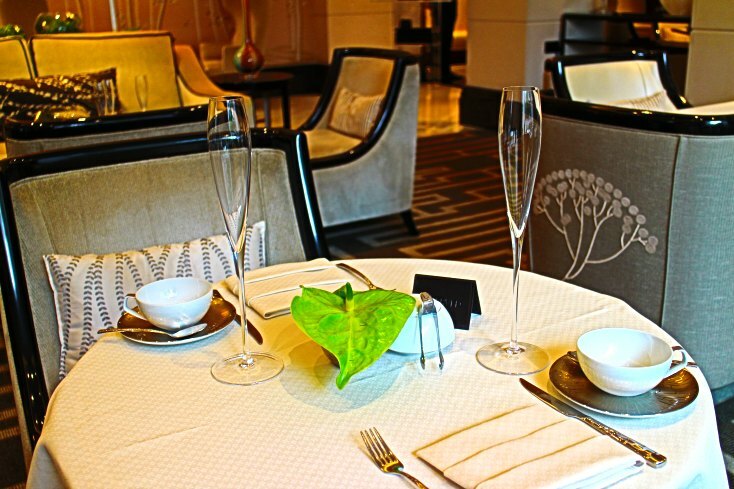 Of course, the experience is not complete without Intercontinental Park Lane signature teas. I tasted two different teas with my sandwiches. Bespoke ‘Wellington Blend’, created in the association with the Tea Palace and ‘Number One Park Lane’, with delicious vanilla and marigold flowers. Those teas are a treat too! The other surprises at the Botanical Garden menu are warm scones served with fresh clotted cream and homemade strawberry jam. Yummy! Want dessert? Their luxury cakes combine the finest ingredients with British culinary traditions to create a true, edible afternoon tea. My sweet favorites? Mandarin Tart and Blueberry crème brûlée macaroon! I was delighted with every texture and every bite. Nothing better to end this fabulous afternoon tea at the Wellington Lounge than a healthy and digest white Peony with Pink Rosebuds. Definitely, ‘a sensory experience’. The perfect harmony of traditional dishes prepared in new natural style and service was excellent. Want to have the best afternoon tea in London at the Intercontinental London Park Lane? Don’t forget to book in advance, you’ll love it! Do you like this post? If so, please share with your friends on your social networks. Thank you! This looks so lovely- I can’t believe some of that food is real! I’m in London at least once a year. Now I’m inspired to go to the Intercontinental and try for myself. Thanks for sharing! What an amazing array of food and tea and setting! They take my breath away.